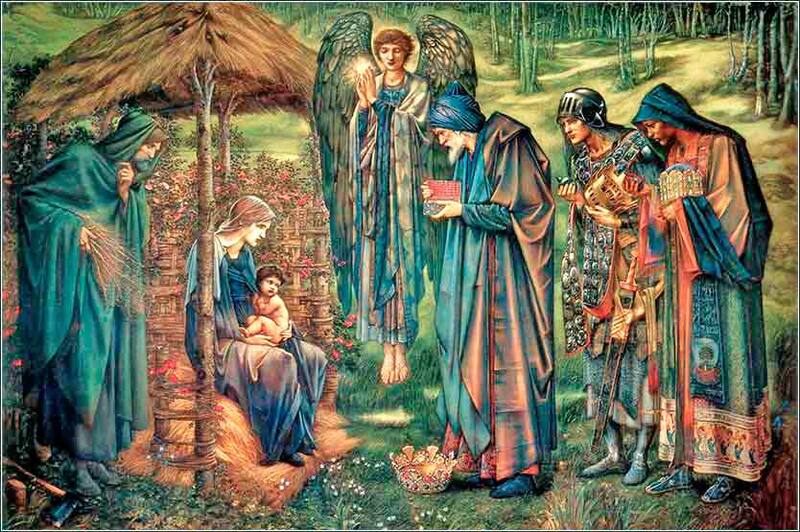 The Star of Bethlehem by Edward Burne-Jones, ca. 1890. This intensely saturated depiction of the Magi was the largest watercolor painted in the entire 19th Century. Note the depiction of the Star of Bethlehem as a light held by an angel. This video is a little cheesy, but the performance by the Robert Shaw Chorale is impeccable. 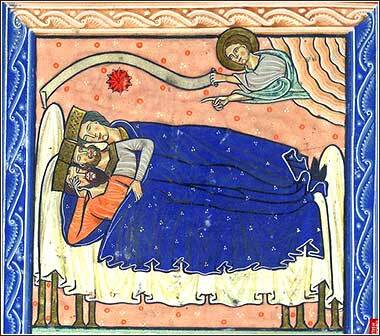 Dream of the Magi, from an English psalter, ca. 1220.